For this first photo, I used a feather I found on the street. 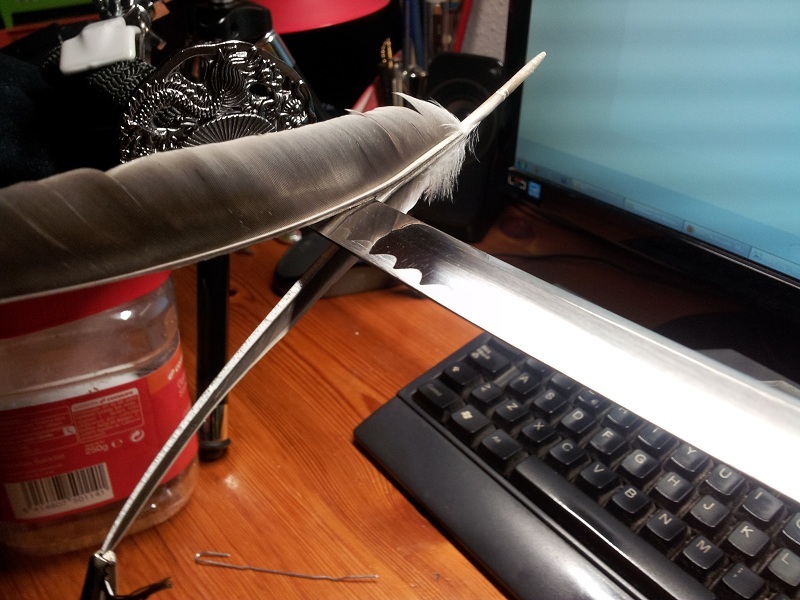 With a cutter, I carefully cutted the feather to the point I wanted, and then I placed a decoration sword I had at home inside the feather. I wanted a dark background but also emphasize the details of the sword and feather, so I used my computer screen and a polarizing filter in the lens, rotating the filter to a point where I saw a black background. With some exposure time, I could illuminate the objects and also keeping a dark background. Also, although I knew the final capture would be vertical, it was much easier to make the photo horizontally due to the working area of my “soft box”. Making of "Pens and Swords"